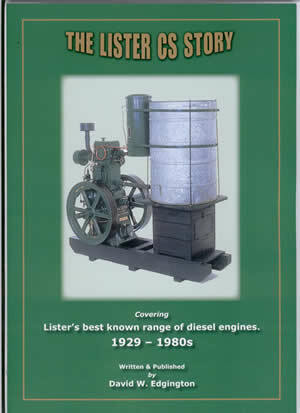 In this book David Edgington covers in great detail the venerable Lister diesel engine produced between 1929 and the 1980s. The diesel engine most popularly collected nowadays is undoubtedly the one known to enthusiasts worldwide as the Lister CS. The number of available examples obviously has a bearing on the popularity factor as it easy to locate recently retired engines, or even complete lighting plants, in half decent eminently restorable or working condition The venerable CS was well known for its longevity, build quality and hard wearing characteristics, so much so that for the last thirty years it has been the subject of a rigorous copying campaign— in fact in some third world countries the word ‘Lister’ has become synonymous with any engine equipped with twin flywheels—rather like the American term ‘Caterpillar’ to describe any crawler tractor. The most prolific copiers of the CS can be found in India and Pakistan where since the 1960s at least fifteen different CS look-alikes have emerged. A Lister CS in good running order will provide its owner with many years of trouble free use, and while new parts tend to be on the expensive side, there is a surfeit of available breakers to cannibalise without suffering a guilt complex at the thought of destroying our heritage! This book is intended purely for the enjoyment of the CS owner/enthusiast who wants to know a little more about this interesting range of engines, identify the different types, and understand how to decipher their rough age by general appearance—because to the uninitiated they all look the same! Most importantly this book is intended specifically to cover the ‘slow speed’ range of engines—the 3-1, 5-1 and 10-2, but in order to clarify the introduction of each size in chronological order it is essential to bring the ‘high speed’ range of engines into the equation. 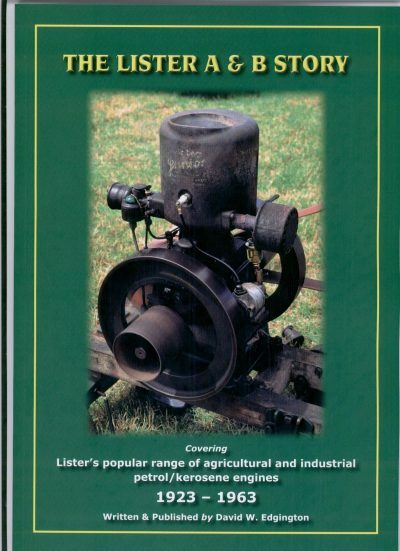 In view of this, Part One covers the introduction of both high and low speed engines, while Part Two is devoted specifically to the CS range of ‘slow speed’ engines which are probably of far greater interest to the majority of readers. At this stage you would be quite justified in asking why these engines have earned the title ‘CS’ and what is meant by a high and low speed range? I hope the following pages answer these and other questions and that the unique collection of drawings and photographs (many supplied from the archives of Lister-Petter Ltd), selected to complement the text, are of great help to both the newcomer as well as to the enthusiast and Listerphile of many years experience. 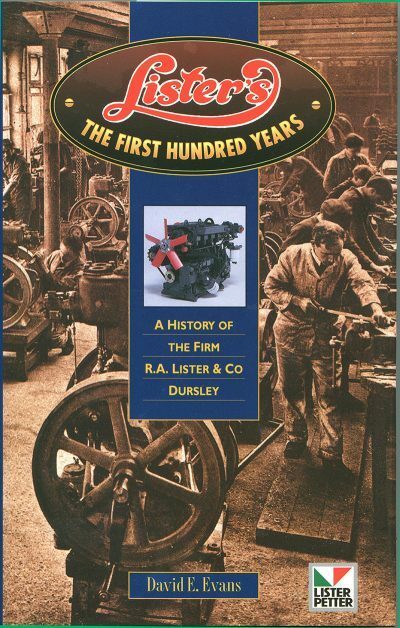 Lister’s The First Hundred Years. 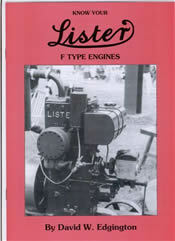 LISTER ENGINES TYPES H to R.